Yesterday counsel for the Trump Organization wrote to the House Judiciary Committee alleging that the committee’s special oversight counsel, Barry H. Berke, “is ethically conflicted from representing or advising the Committee on any matters pertaining to the Company, and to respectfully demand that the Committee cease and desist from all investigative or other activities adverse to the Company.” My initial reaction from media reports was that this was a frivolous claim. After reading the actual letter, however, the issue turns out to be a bit more complicated. To be clear, the demand that the Judiciary committee cease all investigations or other activities adverse to the Trump Organization is ridiculous. Even assuming Berke is personally conflicted (which, as discussed below, he may be), there is no basis for arguing this conflict somehow disables the committee from performing its legislative and investigative functions. The Trump Organization analogizes this to a situation where a law firm is disqualified from representing a client in court, but it would be more analogous to prohibiting the client itself from participating in the litigation. The company’s letter cites nothing in the rules of professional conduct to suggest that a government agency or entity can be barred from conducting the public business simply because it hired a lawyer with a conflict. To the contrary, state bars have recognized that such interference would be improper. Thus, for example, DC Legal Ethics Opinion 308 notes that the normal rules of imputed disqualification do not apply to government agencies “[d]ue to the draconian effects of imputed disqualification on the ability of the government to obtain legal services.” Furthermore, even if the bar rules could be read to permit such a draconian result, there would be serious constitutional objections to any attempt by the bar to regulate the operations of Congress in this fashion. See Michael L. Stern, Ethical Obligations of Congressional Lawyers, 63 NYU Ann. Survey of Am. L. 191, 208 & n. 59 (2007). With regard to Berke himself, there would not have been an ethical problem had he simply left his prior law firm (Kramer Levin) and joined the staff of the Judiciary committee. Although Kramer Levin apparently has had a longstanding attorney-client relationship with the Trump Organization, there is no allegation that its representation has involved matters that are the same as or substantially related to matters that Berke may be handling at the Judiciary committee. In addition, it is not claimed that Berke himself was involved in representing the Trump Organization. Therefore, under ordinary circumstances, he would be free to participate in the committee’s investigation of the company. However, Berke did not join the committee as an ordinary staffer. Instead, according to the committee’s press release earlier this month, he was “retained on a consulting basis as special oversight counsel to the Majority Staff, advising the Committee’s Oversight Counsel team on a range of issues.” Although his law firm is not being paid for the time he is spending on committee business, he remains at least nominally as a partner in Kramer Levin. The Trump Organization plausibly argues that this arrangement violates bar rules prohibiting a lawyer from handling matters adverse to an existing client (the Trump Organization maintains that it is an existing client of Kramer Levin, though there may be some factual dispute about that). In addition to this question of professional ethics, it is not clear to me that this arrangement has been adequately scrutinized under House rules. It is true that committees sometimes retain outside counsel for purposes such as conducting discrete investigations (usually involving internal ethical misconduct), providing specialized legal advice or litigating a particular case. The arrangement with Berke, however, looks more like someone who fulfilling the role of a regular staffer but being exempted from the normal restrictions on outside activities and income. Perhaps it is perfectly ok (it was approved by the Committee on House Administration), but someone ought to take a closer look. The Office of Congressional Ethics, for example. Before leaving (hopefully) the subject of election do-overs, I should mention that there is one relevant modern “precedent,” of a fashion, which came to my attention after my initial post on the subject. (Hat tip: Steven Shepard of Politico). The election of November 5, 1974 in Louisiana’s sixth congressional district was between Republican Henson Moore and Democrat Jeff LaCaze. The initial count had Moore leading by 44 votes, but LaCaze was able to obtain a TRO in state court preventing the certification of the results based on an allegedly malfunctioning voting machine. After the issue of the court’s jurisdiction was litigated up to the Louisiana Supreme Court (which upheld it), the trial judge (Judge Shortess) took evidence regarding the voting machine, which he determined was defective and may have changed the outcome of the election. See Melvin A. Shortess & Charles G. Douglas III, State Courts and Federal Elections, 62 A.B.A. J. 451, 453 (1976). Judge Shortess then concluded that the appropriate remedy was to order a new election for the congressional district (he considered, but rejected, the alternative of rerunning the election in just the precinct affected by the defective voting machine). Review of this decision was sought in the Louisiana Supreme Court, which denied the writ. See LaCaze v. Johnson, 310 So.2d 86 (La. 1974). A new election was held, which Moore won handily. He was seated by the House, apparently without further controversy. An unusual article co-written by Judge Shortess later claimed that this action by the House showed “by clear implication the House approved the analysis adopted by the state judiciary in Louisiana.” 62 A.B.A. J. at 453. I would not assign much precedential weight to the House’s silence, particularly as to issues not before it. As far as I can tell, the question whether do-over elections conflict with federal law was not raised even in the Louisiana litigation. Two justices dissented from the denial of review of Judge Shortess’s order of a new election, but they merely argued that the circumstances did not warrant “the drastic step of annulling the entire election.” 310 So.2d at 88 (Dixon, J., dissenting). They did not consider whether federal law prohibited calling a new congressional election when no vacancy existed. Nonetheless, the Louisiana case provides some support for the proposition that do-over congressional elections may be held, at least when ordered by a court as an extraordinary remedy. However, it is hardly conclusive as to an issue not raised, namely whether a state may provide for a do-over congressional election when, in circumstances it defines, the initial election is deemed unfair or inadequate. This remains very much an open question in my mind. Yesterday the North Carolina election board unanimously voted to call a new election in the state’s ninth congressional district, an unexpected result that occurred after the Republican candidate, Mark Harris, basically imploded on the stand and ended up agreeing with his Democratic opponent that a new election was needed. As a practical matter, this might seem to moot my concerns about the legality of this process because, with both candidates and their respective political parties on board, it is difficult to imagine a challenge to a second election being seriously entertained. Not so fast. It turns out that there is still a dispute about the process for conducting the new election. Under North Carolina law as of the time of the 2018 election, a new election called by the election board is supposed to be limited to the same candidates who were on the ballot in the original election (with some exceptions not relevant here). See NC Gen. Stat. 163-182.13 (c). However, in December 2018, after the state election board refused to certify the result in the ninth congressional district, the Republican-controlled North Carolina legislature passed a new law that requires the candidates in a new congressional election ordered by the board to be selected in primaries. This law, the New York Times observed, “opens the door for Republicans to consider replacing Mark Harris, their candidate in the disputed race in the Ninth Congressional District.” Under the current circumstances, this door is one Republicans are happy to have. However, the three sitting Democratic members of Congress from North Carolina protested the passage of the new law, contending that “changing the law after the election, to require a new primary, is likely unconstitutional.” Needless to say, the Democrats would be better off if Republicans were required to run Harris as their candidate. Therefore, although the election board apparently intends to follow the new law and require that primaries be held, there could well be a legal challenge to this process. Assuming for the sake of argument that states have the power to provide for do-over elections under their general authority to regulate congressional elections (art. I, § 4, cl. 1), it is not at all obvious to me whether that power extends to changing the law after an election has already occurred. It is possible that a court would order a new election to take place under the old law, which would deprive other Republican candidates of the opportunity to run. It is also possible that a court would conclude (correctly, I tend to think) that North Carolina lacks the power to provide for a do-over election at all. In either case, there is likely to be a procedural mess, as well as continuing controversy regarding the fairness and legality of the process. But there is a simple way to avoid this. The House can simply declare the seat vacant (an noncontroversial act now that both candidates agree the first election must be set aside). This will trigger NC Gen. Stat. 163A-721, which requires the governor to set times for both primaries and the general election. It is the same process being used to fill the vacant seat caused by the death of Congressman Walter Jones and, as far as I know, there is no legal objection that could be made to it. Yesterday the North Carolina election board began hearing testimony regarding alleged fraud and misconduct affecting the 2018 election in the state’s 9th congressional district. Attorneys for Dan McCready, the Democratic candidate who finished 905 votes behind his opponent, urge the board to exercise its authority under NC Gen. Stat. 163-182.13 (a) (4), which allows it to order a new election if it finds “irregularities or improprieties occurred to such an extent that they taint the results of the entire election and cast doubt on its fairness.” Attorneys for Mark Harris, the Republican candidate, argue that the statutory standard has not been met and that in any event the discretionary remedy of calling a new election should not be employed. This theory, however, seems problematic. For one thing, it is not at all clear that the governor will play any role here. There is a statutory provision for filling congressional vacancies, NC Gen. Stat. 163A-721, which the governor will use to fill the vacancy caused by the death of Congressman Walter Jones (RIP), but this provision appears to operate separately from the state election board’s process for calling new elections. Moreover, any attempt to argue that a vacancy exists would have to grapple with the fact that the House itself has not recognized a vacancy. An alternative theory would be that the state election board’s authority flows from the state’s general power to regulate elections under the Constitution (art. I, § 4, cl. 1), which provides: “The Times, Places and Manner of holding Elections for Senators and Representatives, shall be prescribed in each State by the Legislature thereof; but the Congress may at any time by Law make or alter such Regulations . . . .” Under this theory, North Carolina’s statutory scheme would prescribe the “time” and “manner” of electing representatives in situations where the initial election failed. The problem with this theory, as mentioned in my earlier post, is that it seems to run afoul of 2 U.S.C. § 7, which provides that the general election for representatives to each congress must take place on a single uniform day in all states (i.e., the Tuesday after the first Monday in November in every even-numbered year). This federal law overrides any state law to the contrary. See generally Foster v. Love, 522 U.S. 67 (1997). As far as I know, there is no federal law allowing a “do over” exception to this mandate. Therefore, it seems to me that any order from the North Carolina elections board ordering a new election in this case would run a significant risk of being held unconstitutional and/or a violation of federal law. Another problem is that the elections board can only order a new election if four of its five members agree to do so. The board consists of three Democrats and two Republicans, creating a distinct possibility that it will be unable to reach agreement on the proper course of action. McCready’s lawyers argue that in such case the board should decline to certify the election and instead send its findings and records to the House of Representatives, deferring any further action until the House decides what to do. Harris’s lawyers counter that North Carolina law requires the board to either order a new election or certify Harris as the winner. Whether or not a vacancy exists in this case is a determination only the House ultimately can make (however much it may wish otherwise). Regardless of whether the board certifies Harris as the winner, it should send its records, along with any findings or recommendations it deems fit to make, to the Committee on House Administration for purposes of allowing the House to make that determination. No election should be called until the House does so. On February 11, 2019, the new General Counsel of the House, Douglas N. Letter, filed an amicus brief in U.S. Dept of Commerce v. State of New York, the case that challenges the Trump administration’s decision to add a citizenship question to the 2020 census. A federal district court ruled that the addition of the question violated the Administrative Procedure Act, and the Solicitor General sought a writ of certiorari before judgment from the Supreme Court. Letter’s brief argues that the district court’s decision is correct and urges the Court, should it decide to hear the case, to do so promptly in order to avoid disruption or delay in the census. (The Court has now agreed to hear the case on an expedited basis, with argument scheduled for late April). I have nothing to say, at least at the moment, about the merits of this dispute, but I do have an observation about the caption of the brief, which is styled “Brief of Amicus Curiae United States House of Representatives in Support of Respondents.” This caption took me by surprise because during my time in the House General Counsel’s Office amicus briefs reflecting House institutional positions were filed in the name of the Bipartisan Legal Advisory Group (BLAG), rather than in the name of the House itself (unless the House actually voted on the matter, which rarely if ever happened). There is established a Bipartisan Legal Advisory Group composed of the Speaker and the majority and minority leaderships. 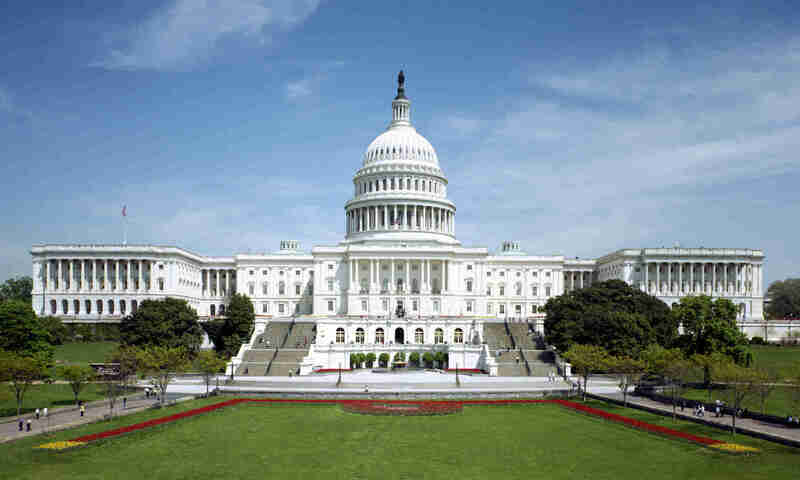 Unless otherwise provided by the House, the Bipartisan Legal Advisory Group speaks for, and articulates the institutional position of, the House in all litigation matters.